The Project is an unprecedented approach for the Flood Control District. Of the 258-acre flood control easement, 65 acres will be impacted to restore the needed flood protection capacity while just 42 acres will be utilized for future Annual reservoir management. The remaining areas will support recreation, open space, and abundant native habitat. 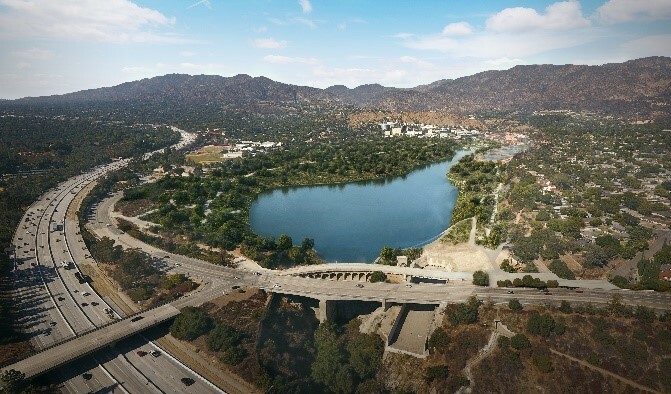 The Project will create a sustainable Devil’s Gate Reservoir by removing 1.7 million cubic yards of accumulated sediment and enhancing native habitat which will create a new permanent reservoir configuration. This new configuration will allow enhanced native habitat areas to co-exist with reservoir flood control operations and maintenance for the long-term health and well-being of the environment and adjacent communities. Flood control, habitat, and recreation will be able to co-exist in a sustainable way. 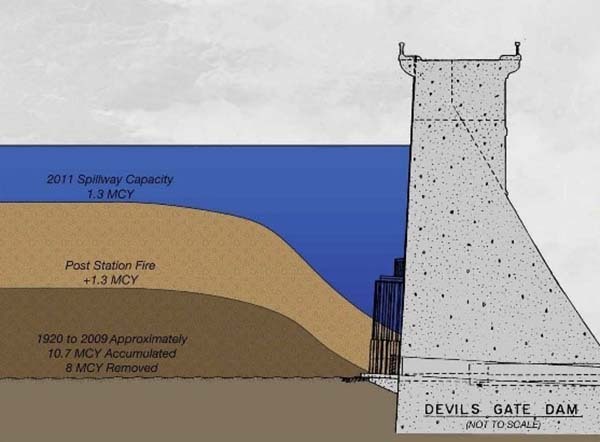 Once the removal of 1.7 million cubic yards of accumulated sediment is complete, the Flood Control District will implement an annual maintenance program for Devil’s Gate Reservoir, to avoid the need for future sediment removal projects of this size. The Project, which includes the removal of 1.7 million cubic yards of sediment and the construction of new access points into the reservoir, started in late November 2018. Also included in the Project is the restoration and enhancement of over 70 acres of native habitat within Devil's Gate Reservoir. As a result of a judgment from the Superior Court of LA County, the Flood Control District recirculated limited portions of the Devil’s Gate Sediment Removal and Management Project Final Environmental Impact Report (EIR). 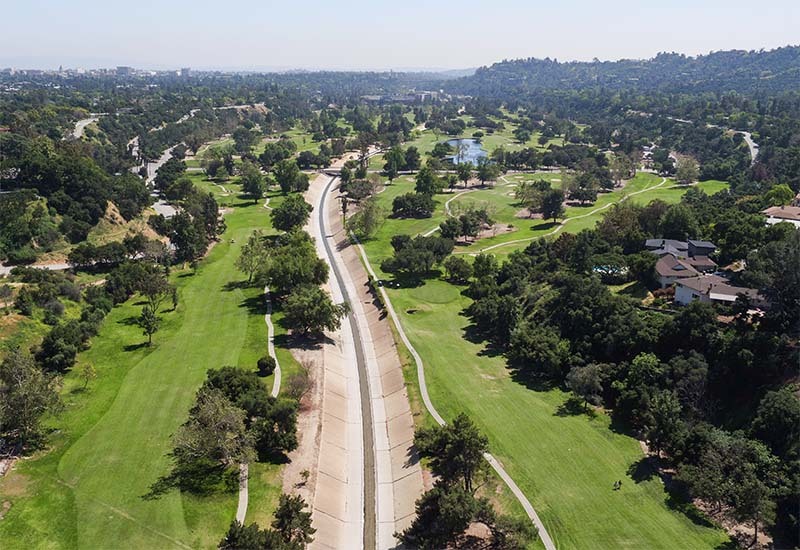 The judgment found that the Final EIR complied with the California Environmental Quality Act on all but three narrow topics, and the Flood Control District recirculated the only sections of the Final EIR related to those topics. On November 7, 2017, the LA County Board of Supervisors certified the recirculated portions of the Final EIR. Listening to the community, the Board also reduced the size of the project down to 1.7 million cubic yards of sediment to be removed, plus any additional sediment inflow to the reservoir during the project. After three years of planning, research, and extensive public engagement, the Environmental Impact Report was completed for the Devil’s Gate Reservoir Sediment Removal and Management Project. The LA County Board of Supervisors adopted the Final Environmental Impact Report and approved the project in November 2014. Listening to the community, the Board also motioned to limit hauling hours, exclude work on holidays and major Rose Bowl events, prohibit trucks from staging on city streets, balance truck traffic between the surrounding communities, and restore habitat within Hahamongna consistent with the City's Master Plan. The limited capacity of the reservoir following the Station Fire creates an elevated risk of flooding during a major storm along portions of the Arroyo Seco. 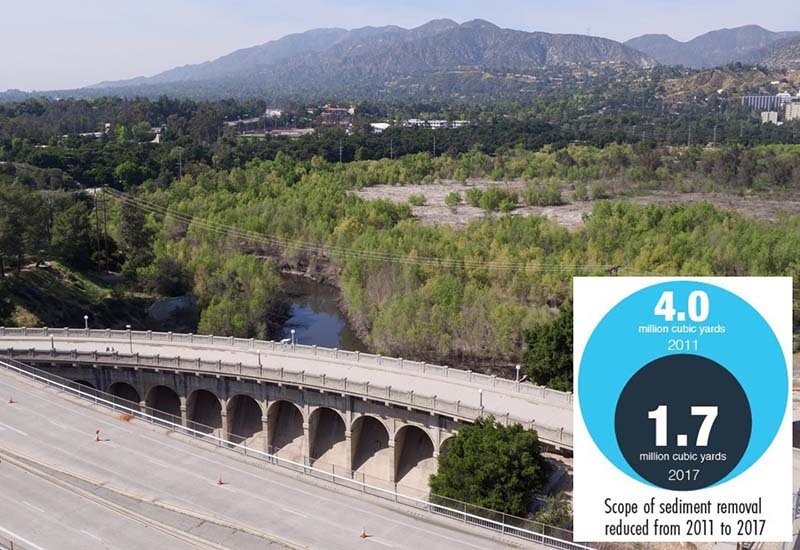 A Flood Hazard Warning and Contingency Plan for Arroyo Seco Channel was prepared in an effort to coordinate with local and state agencies to minimize negative impacts in anticipated areas of flooding. Protocols are in place to monitor storms, reservoir and channel conditions, and to communicate with emergency responders to execute any necessary evacuations or freeway closures. Click here for more information on how you can prepare for a flood. In the meantime of completing the Environmental Impact Report, the LA County Flood Control District implemented interim measures that would reduce downstream flood risks.This included installing additional steel trashracks, maintenance platforms and floating debris barriers, along with the annual removal of sediment accumulated immediately in front of the dam. With only 1.3 million cubic yards of flood protection capacity remaining below the spillway, potential sediment inflows are a major concern for the Flood Control District. 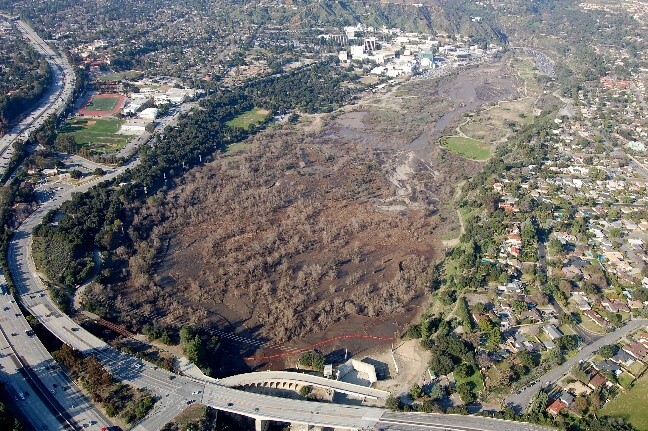 In March 2011, the LA County Board of Supervisors instructed the Flood Control District to complete an Environmental Impact Report. 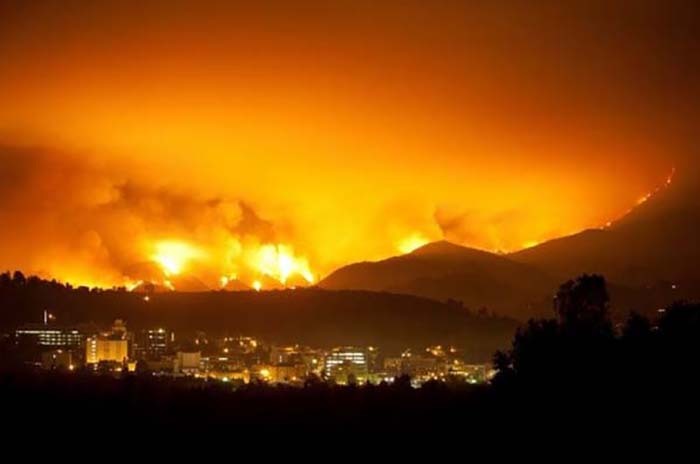 In 2009, the largest fire ever recorded in LA County history burned over 160,000 acres in the San Gabriel Mountains. In the two storm seasons following the Station Fire, an additional 1.3 million cubic yards of sediment accumulated within Devil's Gate Reservoir. In Winter 2005, Devil's Gate Reservoir reached its capacity, and water flowed over the dam's spillway. Spillway flows persisted for several days. At the time, Devil's Gate Reservoir had approximately 2.2 million cubic yards of capacity below the spillway. 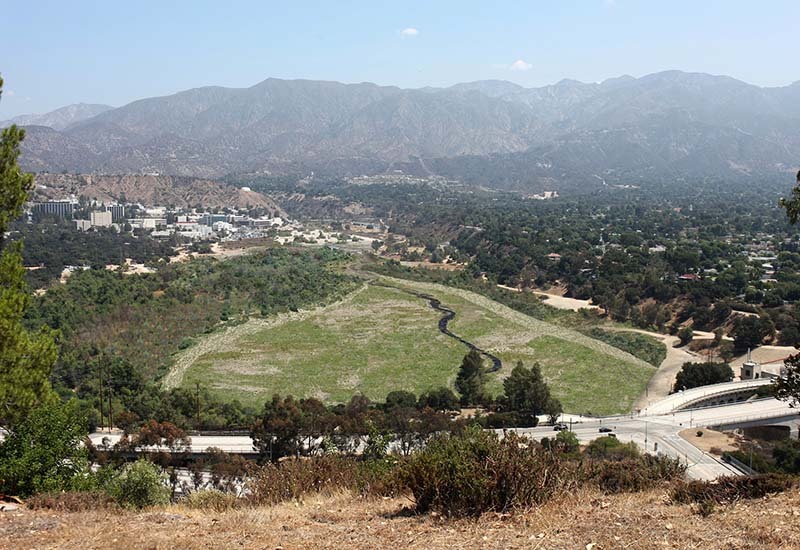 In September 2003, the Pasadena City Council adopted the Hahamongna Watershed Park Master Plan. 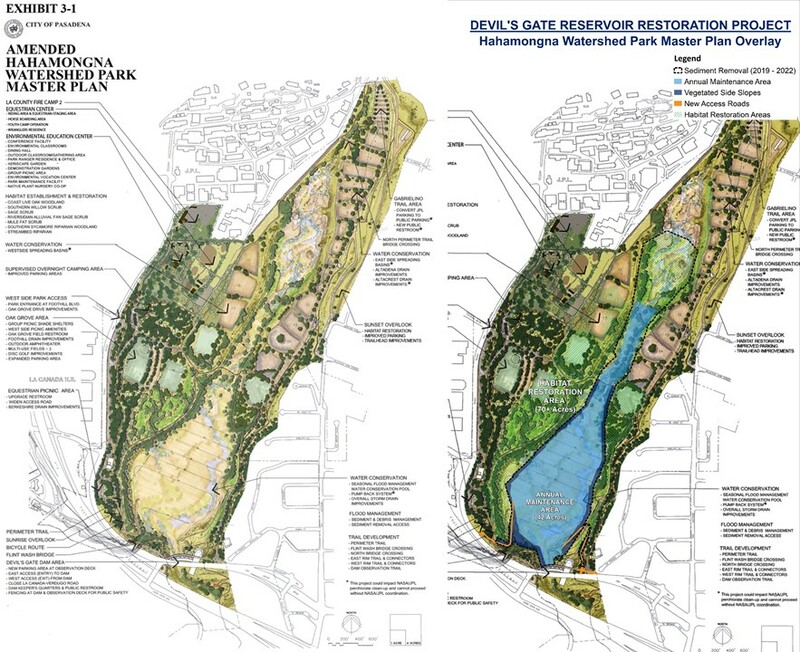 The sediment removal footprint of the Devil's Gate Reservoir Restoration Project was designed based on the City's Master Plan. The original construction of the dam did not meet modern seismic and spillway requirements. As a result, the dam was rehabilitated in 1997, which included enlarging the spillway to safely pass the probably maximum flood. 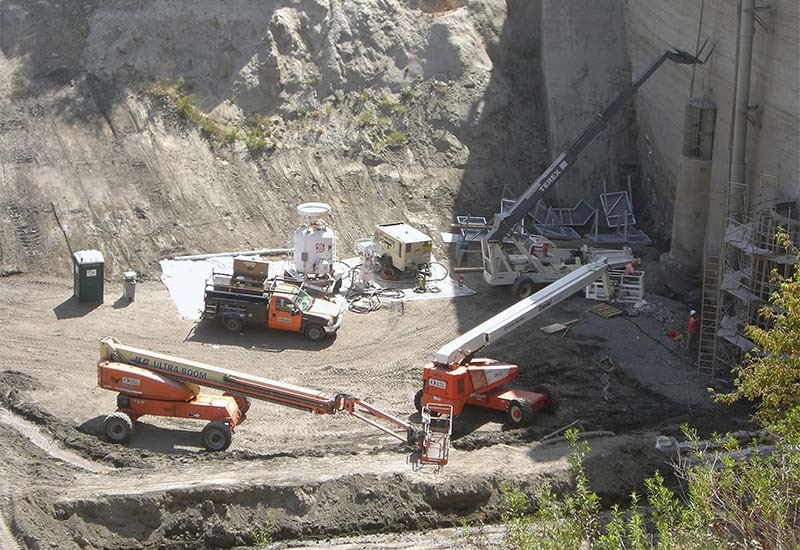 The Flood Control District periodically conducted reservoir cleanout projects. 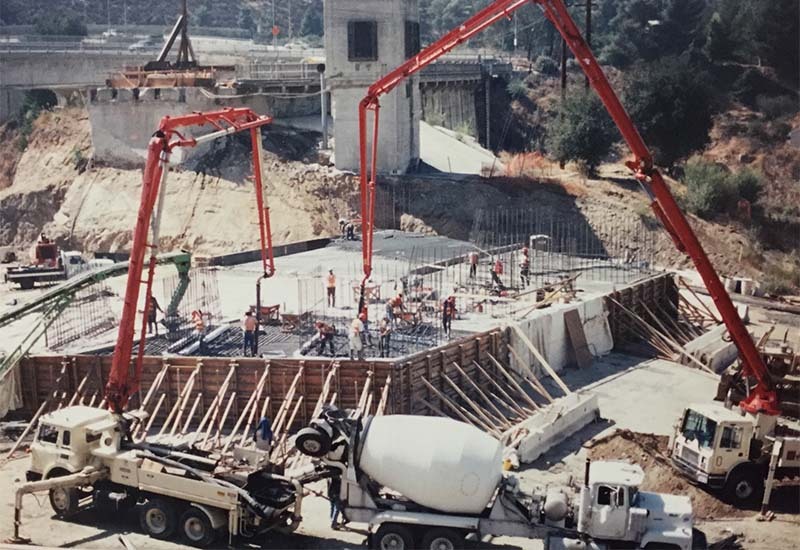 By 1995, a total of 10.8 million cubic yards of sediment had been deposited and 8.1 million cubic yards of sediment had been removed from the reservoir since construction of the dam. In addition, as many as 8 mining operations had been licensed to mine within the reservoir. By the end of 1994, all mining operations within the reservoir had ceased. In 1934, the Brown Mountain Fire burned 3,550 acres of the San Gabriel Mountains. Subsequent storms brought large quantities of sediment into the reservoir. By 1943, 3.9 million cubic yards had accumulated within the reservoir. 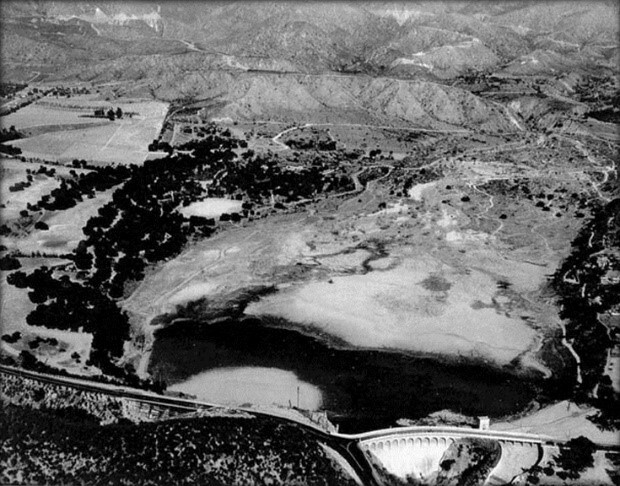 In this 1935 photo of the early conditions at Devil's Gate Reservoir, there is little vegetation present. Trees are visible in the area to the west of the reservoir, what is now known as the Oak Grove Area of Hahamongna Watershed Park. 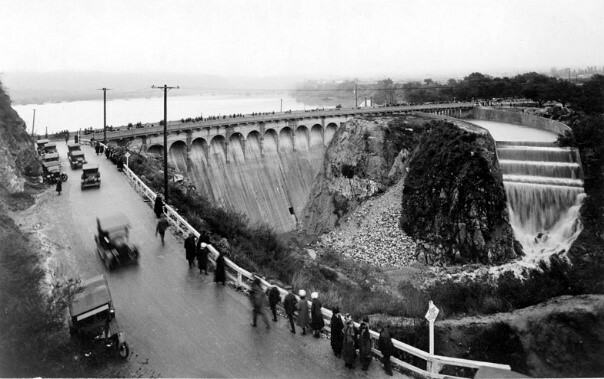 The Flood Control District built its first dam, Devil's Gate Dam, in 1920 to serve as a critical flood control and water conservation facility for the Arroyo Seco. 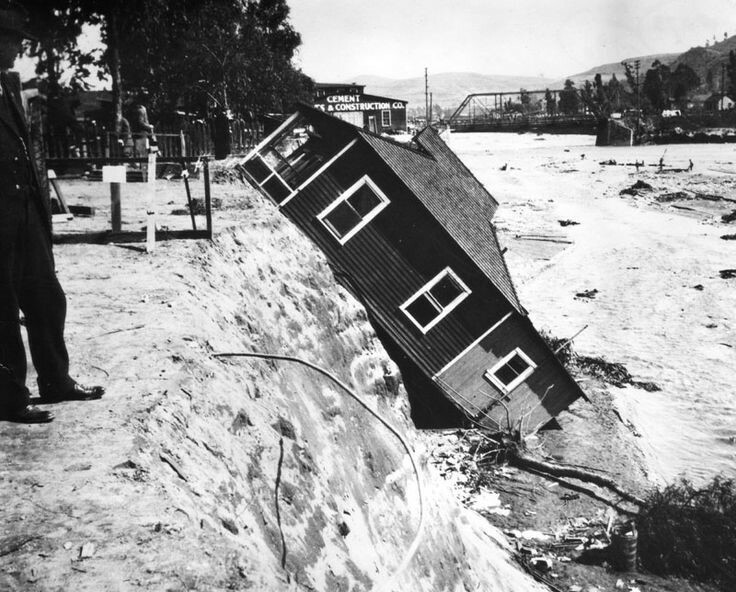 The 1914 flood caused $10 million in damages throughout the developing basin. 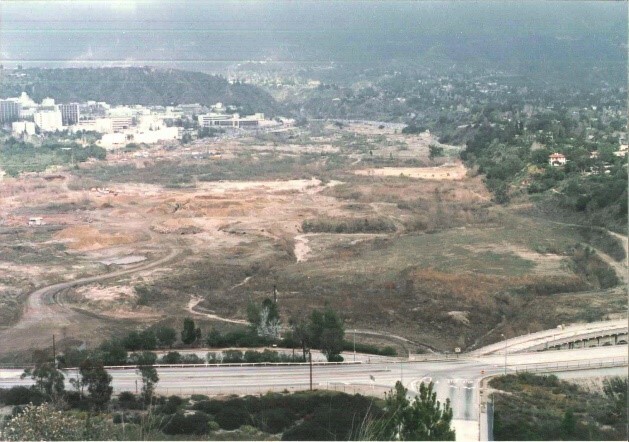 The following year, the LA County Flood Control District was formed. 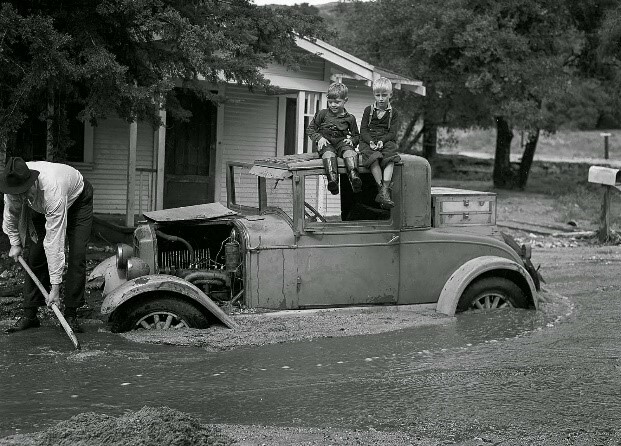 Since then, the Flood Control District has been providing flood protection and water conservation within its boundaries.